Last fall, the USRF awarded 10 $1,000 Kevin Higgins College Scholarships to deserving high school seniors who went on to play rugby in college, bringing the total number of Higgins Scholarships awarded to 62 since the program was created in 2008. This year, the USRFF will provide up to 10 Higgins Scholarships. 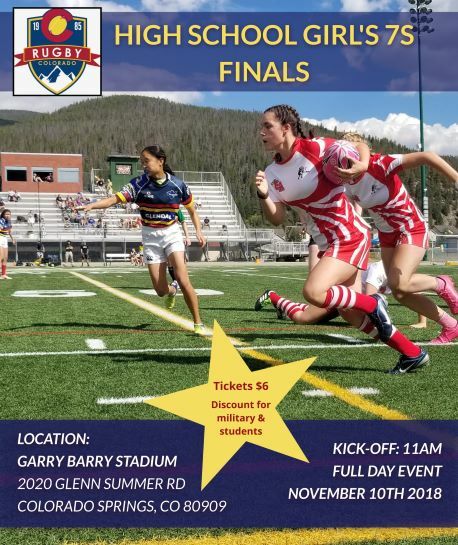 These independent scholarships are open to all graduating high school rugby players in the US who will be pursuing their rugby career while continuing their education at the collegiate level. "The Rugby Foundation is proud to be a part of keeping the Kevin Higgins' legacy alive," said USRF Executive Director Brian Vizard, himself a teammate of Higgins with OMBAC and the U.S. National Team. "It never ceases to amaze me the impressive qualifications that each year's Higgins Scholarship applicants have. Every year it gets harder and harder for the selection committee. But that's a good problem to have." Read more about the 2014 Kevin Higgins College Scholarship recipients:Liam Wynne, Domonique Bellinger, Tanner Pope, Olivia Fiatoa, Brandon Puccini, Amy Plambeck, Brendan Murphy, Elona Williams, Reed Heynen, and Courtney Bridges. Apply for a 2015 Kevin Higgins College Scholarship. Applications must be postmarked by July 31, 2015.